An Arizona man who punched a female clerk in the face at a Downtown San Luis Obispo store in November will spend at least the next three months in Atascadero State Hospital. 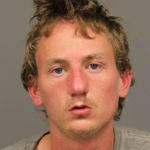 On Nov. 13, San Luis Obispo police arrested 21-year-old Justin Pard twice. They first arrested him for carrying a dirk or dagger and for assaulting the female clerk, who was working in the Flip Flop Shop on Higuera Street. Later in the day, after being released from jail, Pard allegedly harassed customers at Black Horse Espresso on Foothill Boulevard. Shortly after, police found him sleeping on the property of a nearby church and arrested him for trespassing. In December, a San Luis Obispo judge found Pard mentally incompetent. Pard’s attorney, Patricia Ashbaugh, requested that he receive treatment on an outpatient basis. But, on Wednesday, a judge ruled that Pard must receive treatment at ASH, where he will remain at least until early April. Pard is scheduled to appear in court again on April 6. A judge will then determine whether he needs more treatment or he can resume his criminal case. Sorry, but I’m not going to over analyze this. Patricia Ashbaugh’s job is to get him off of whatever (courtesy of the taxpayer). I don’t care what his problem is. My problem is a retail clerk being cold-cocked in the face. I’ll spend my tax dollars at ASH. All this outpatient b******t is nothing but enabling. I respect your entry, it is sound in regards to my unscientific speculation. With nothing more to go by than the only the news, I enjoy both the community knowledge and speculation in these comments chat. But I have in my earlier years seen and know street wise people who has “beat the criminal & welfare system” who will coach others how to do it and laugh about it afterwards. Please don’t misunderstand me, I do appreciate getting corrected by knowledgeable comments here. Let me also add that you don’t need to be a streetwise transient to beat the system, a person who has an affluent family can beat the system even after shooting the President of the US. I know….sigh….the system we are up against is not really predictable. Don’t think I am just this uptight professional. I used to work the streets, and I started when I was only 13. I have had my fair share of being up against the system. I fought and clawed my way out of it-and was on the wrong side of the stick. For awhile, I was in a cardboard box with a vodka bottle. I am not dead and survived college too—and I am not always in agreement with choices that are made–but I saw the video–of this guy punching the clerk. He was psychotic and likely hearing voices. He is a person that is having a hard time of it is all. Maybe he will go on to dig his way up and out too….we can never tell, right? To be honest (not a psychiatrist or psychologist) but many people of true mental disability that I have known, met, or be acquainted with are obvious and shows it in their eyes. I believe this guy is real clever and real smart enough to play and fake it. Not to sound biased here (I am in the field of psychology) but the appearance of a person’s eyes does not qualify as a mental status exam, suicide or homicide risk assessment or DSM-5 diagnosis. It also is not enough to diagnose his intelligence quota (real smart) or his reasoning abilities (real clever). Since you circulate and move about within the general populace, you do not see those who have what you might be referring to as “true mental disability”. Those are the people who are inpatient, and many have had very little exposure to those in the general populace. Lastly, we cannot ever assume details about someone’s character that we have not ever met (assuming he would “play and fake it”). It takes a lot to get placed in ASH. The judge did indeed rule on the initial 3 months for this man, but that was after a psychological assessment and a written report prepared for the judge’s review. This was not meant to intimidate you or make you feel you do not know much; but I do wish I could persuade you to somehow not jump to conclusions about people that you know nothing of. Many people walk a dearly painful and tragic path in their lifetime here-an agony coupled with rejection and stigma…more than many of us could bear to endure. Compassion is key to evolving as a human species.